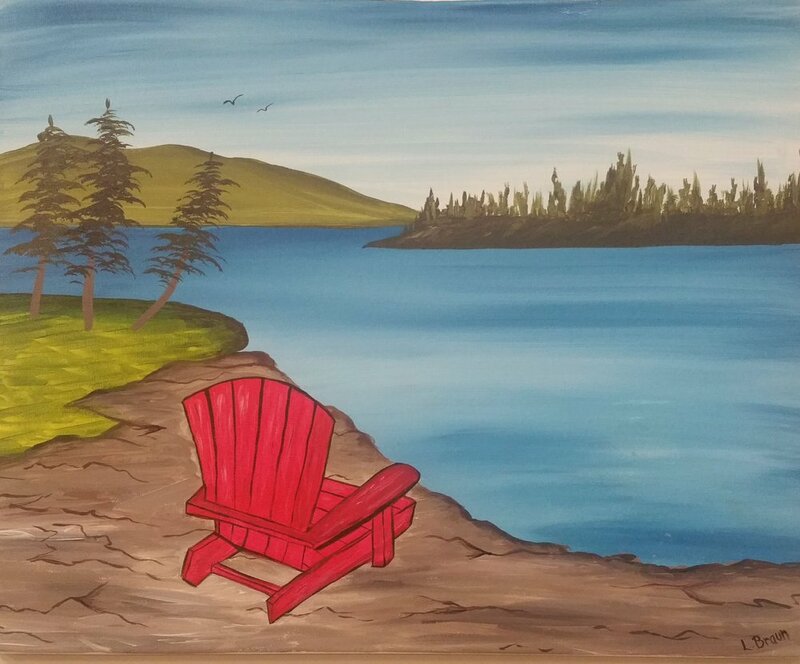 You’re sure to enjoy your night out as you are instructed through a 16”x20” painting of Muskoka Love. Whether you come alone, with friends, for your first date or 50th, you can bet you’ll leave with a masterpiece! The evening begins at 6:30 and lasts about two hours. Make sure you come about 20 minutes early to settle in! WE HAVE MOVED TO A NEW STUDIO! - 29 MANITOU DRIVE IN KITCHENER, UNIT 1D CONVENIENTLY LOCATED, THE SOCIAL ART STUDIO IS THE PLACE TO BE! GREAT LIGHTING, MUSIC AND ATMOSPHERE, ITS THE PERFECT PLACE TO SURROUND YOURSELF WITH INSPIRATION. YOU CAN PICK UP FOOD ON YOUR WAY IN AT ONE OF MANY SURROUNDING EATERIES, AND FEEL FREE TO BRING YOUR OWN NON-ALCOHOLIC BEVERAGES! WE ALSO HAVE A SELECTION OF BEVERAGES AND SNACKS FOR PURCHASE ON-SITE.